A minimalist design and an electronic touch screen control panel. Talk about wow factor! The Napoleon Slimline EFL72H Electric Fireplace is a crowning jewel in any room! 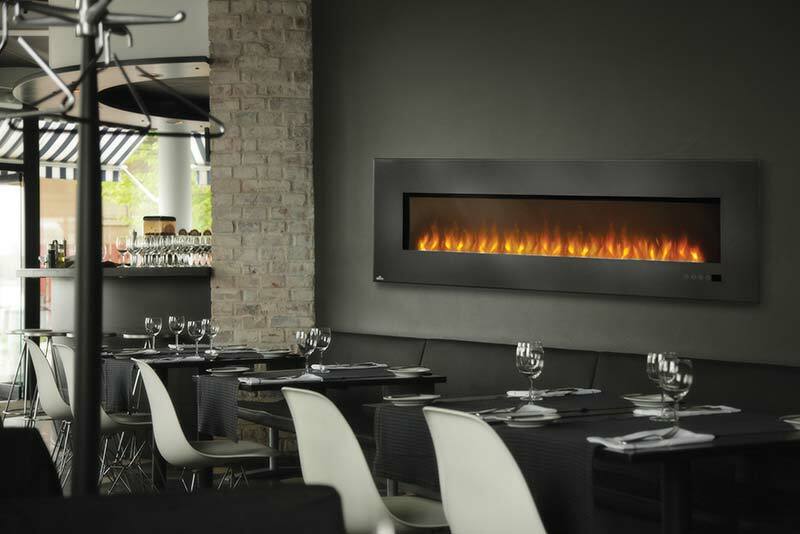 Not only for offices and waiting rooms, this electric fireplace is an easy update to your favourite room. The sparkling glass crystal ember bed is lit from below by high-powered LED lights creating a beautiful focal point. Everyone will gaze longingly at this masterpiece while they are hypnotized by the realistic dancing flames. Just hang on the wall by the two mounting brackets and plug it in. It’s that easy. Hanging it on the wall frees up valuable floor space. 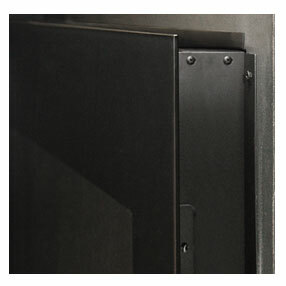 And like all products in the Slimline Series, the body of this fireplace protrudes under 4 inches into the room. Or it can be recessed into a wall to take up less than two inches! Save money with your Slimline EFL72H Electric Fireplace. It can heat up to 400 square feet of space. So turn the furnace down and let your efficient EFL72H make you cozy. Costing as little or less than 18 cents an hour to operate. And the energy efficient, high-powered LED lights will last for 50,000 hours or more. You don’t need to use the heater with any of the Slimline Series electric fireplaces, so you can enjoy the hypnotic dancing flames even in the heat of summer. No need for concern about the safety with this fireplace. 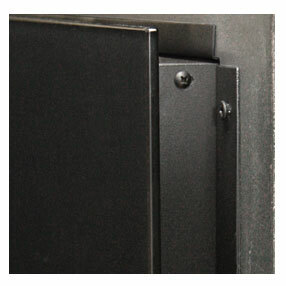 The mounting brackets that hang the ELF72H Electric Fireplace are rated for over 100 pounds each. The tempered glass front keeps little fingers from getting burned if touched. There are no open flames and no bulky mantles sticking out into the room. There is no maintenance or cleaning required for the Slimline Series. Use the convenient remote or the hidden touch screen to control your comfort level and the ambiance. You just can’t beat the convenience and ease of use of the Slimline Series EFL72H Electric Fireplace. It hangs like a big screen, you just plug it in and can turn it on. With the press of a button, all eyes will be on your new fireplace.